Create the Title and Description of your task. Then define how long before the Task has to be completed and whether or not an Attachment is required. (If an attachment is required, the task will not be completed unless the assignee attaches a document). 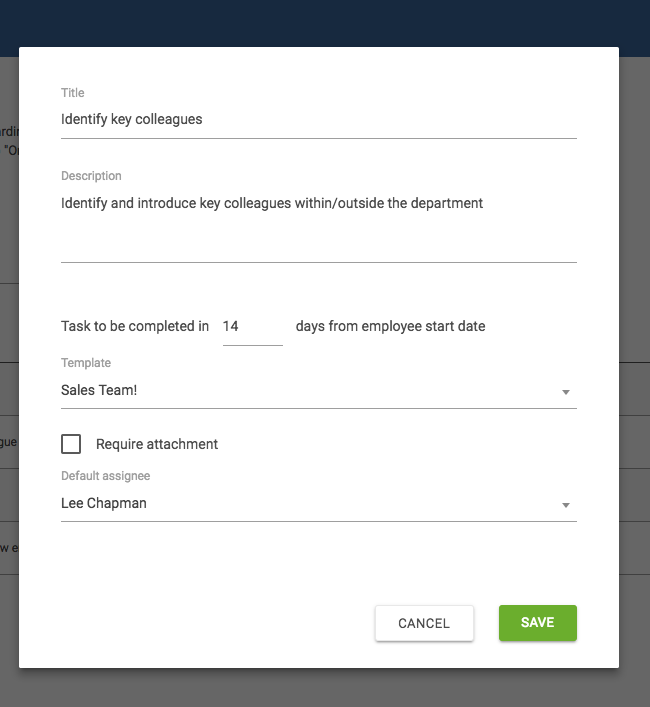 By selecting the Default assignee, when you onboard a new hire, this task will be set to the default assignee however you can always change this depending on the situation. 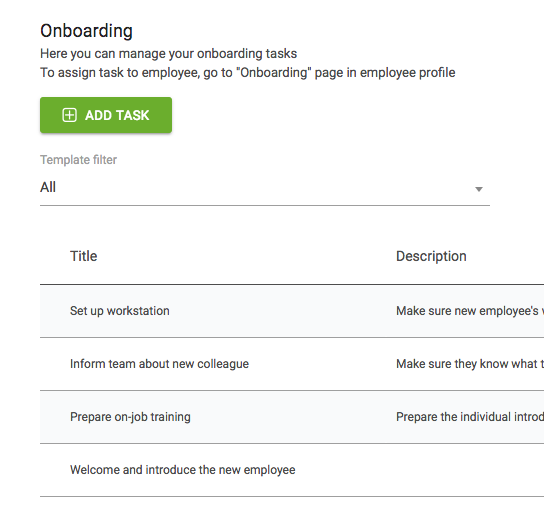 Save the Task and now you are ready to onboard your new hires by assigning tasks!